Biodynamics is a method of organic agriculture based on the indications offered by Rudolf Steiner to a group of farmers concerned about the changes needed in their field. Biodynamics came out of a series of lectures Rudolf Steiner presented in the 1920s when a group of farmers approached him for advice. The systems and processes of biodynamic farming continue to be used in gardens and farms around New Zealand and internationally. This form of agriculture is radical (or goes back to ‘the roots’ of agriculture) in the sense that it is a holistic approach, where a farm, vineyard, orchard or garden is viewed as a living whole where each activity affects everything else. Farm or garden management is based on careful observations from the farmer or gardener, together with the results of tests and analyses. In this way, modern technology and traditional knowledge come together to form an effective method of care and management that attends to the unique needs, environment and conditions of each location. There are farmers, gardners and vintners practicing biodynamic agriculture in all parts of Australia. Biodynamic Agriculture Australia Ltd is a not-for-profit organisation that fosters, safeguards and restores the natural environment of our soils through the development and promotion of the biodynamic method. 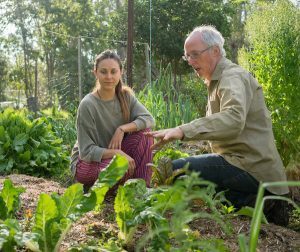 Biodynamic practices continuously renew and replenish soil micro-organisms creating a resilient and healthy eco-system enabling nutrient rich produce on farms and gardens throughout Australia. In Victoria, Australia Biodynamics Victoria is a non-profit organisation located in Victoria. The organisation aims to motivate and to educate people in the principles and practices of biodynamic farming and agriculture, according to the teachings of Rudolf Steiner.